Americans have an exercise problem. I remember a trip to Italy with my family a few years back and seeing an 80-year-old woman haul her groceries back from the store. I remember these active seniors of my childhood, but this Italian woman would have been such an out-of-place sight in most US suburbs that she would have undoubtedly triggered a police chase! Why do we seem to have a harder time exercising than our ancestors and our non-US counterparts? Could it be the medications we take? A new study that vividly shows the toxic effects of cholesterol-lowering drugs on muscle may help explain a few things. While I often poke fun at traditional US medicine on the blog, you have to respect the business sensibilities of pharma companies. They have built a massive business selling statin pills to lower our cholesterol, despite recent research that shows that lowering our total cholesterol shouldn’t be the goal for most patients. They were able to pivot and survive those scientific discoveries by seeding FDA panels with university professors on the pharma dole. More recently, research has shown that these same cholesterol pills dramatically increase the risk for type 2 diabetes; this is nonsensical, given that all by itself this disease can cause the same heart attacks and strokes that the pills purport to prevent. Not only did they survive that scientific discovery, but they turned it to their advantage. They had the cojones to have a professor who has received billions in pharma funding (yes that’s billions with a “B”) put out a press release lamenting that the mounting anti-statin stance (based on the research) was unfounded. The professor told us that virtually every man, woman, and child should be imbibing statin-infused drinking water. Is this a great country or what? How Well Do Statins Work? Myopathy means muscle disease in the language of medical jargon. I know this illness and statin side effect intimately because my aunt almost died in a Staten Island (no pun intended) ICU of the disorder. Statin drugs can cause muscle damage in select patients, mostly through what looks like a medication allergy. However, how that occurs to some degree in most patients and exactly how that happens hasn’t been entirely worked out. In the new study, the researchers gave mice a statin drug for only one month and then looked at the composition of their muscles. You may not know it, but your muscles are made up of two main types of fibers: fast and slow twitch. The fast-twitch fibers are responsible for things like sprinting and many of the activities you would perform in a CrossFit gym—quick and explosive movements. The mice received a placebo or lovastatin (Mevacor) and then had their muscles tested. The researchers looked at the ability of the muscles to contract and measured all sorts of properties. They also looked at the muscles under a microscope to detect any changes in the number of fast- or slow-twitch fibers. The lovastatin group’s fast-twitch muscle fibers were abnormal in a number of ways. The upshot? Could statins be poisoning our muscles in subtle ways that make our muscles less efficient? Could this be why we statin-pill-popping Americans just don’t feel like exercising? Another recent study showed lower peak muscle force in patients on statins that the authors attributed to muscle pain caused by the drugs. Could these weaker muscles also be due to fast-twitch muscle problems? More research is needed. i have been on statin meds. for 35+ years and go the La Fittness 3-4 days a wk. lift weights each time on the days i do not go to La. i walk 1/2 to 1 hr each days, i have had no side effects. Be careful and fact check. We obviously do fact check. This blog was written on the results of 2 studies, our own patients and our own research that shows that statins hurt stem cells. If they're working for you, that's great! In your video you say the studies were done with people with no heart disease, is that correct? If so are there any studies with people with heart disease? What are your thoughts about this? Does the dosage size matter for people taking the drugs? Does a lower dose mean less issues? The blog was written because of the trend of routinely putting patients on Statins without weighing risk vs. benefit and with no clear medical indication. 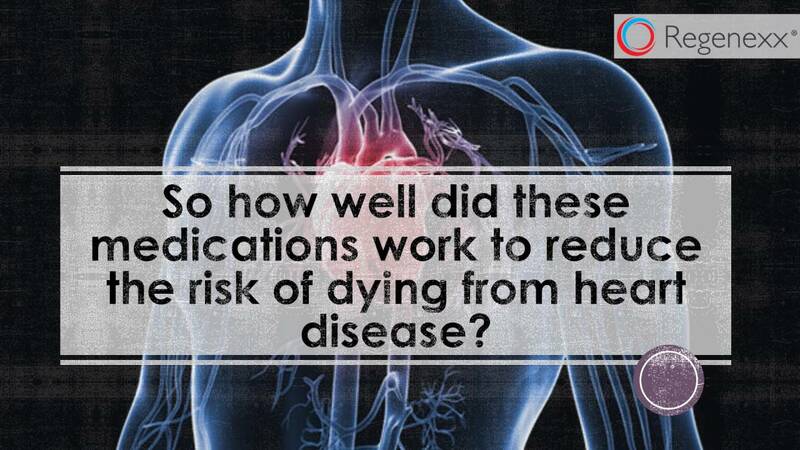 The study was done on patients with no Heart Disease, but with risk factors. However, only your cardiologist or the physician who prescribed the Statins can advise on your need for them or the dosage based on your medical history. Thanks for the reply. I understand that only my cardio doc can and should perscrib. anything. Just wondering if there are any studies showing that lower does have less side affects? Not that we're aware of, but if we come accross one, we will let you know. A great alternative to lower cholesterol is do not eat animal products in any form...I lowered mine in just a few short months that way. I know that is a lot to ask most people, but for me who does not believe in taking Big Pharama Drugs this was GREAT!, of course there are some exceptions to taking Pharma Drugs, but taking NONE is always best for the body in my view. BTW, I am 12 weeks POST Knee Stem cells in both knees and coming along well...getting better each week. Thank you! A shout out to Dr Cohn in Oceanside. CA! I agree with you I feel awful when I take Statin I hurt all over. I started when I was 39 years old and started by my OB GYN. I am now Type 2 Diabetic and just push to get through the day I also developed Lupus and so the story goes . I now take breaks from taking them until my doctors are mad at me. I am 66 now with a body that has been in pain for a long time, Thanks for sending this news its something people should and think about. I wish I could find information somewhere on how to raise my total cholesterol. My level is borderline low and I have low energy, aching joints and muscles. I also have IBD. I take no medication. Only supplements are COQ10 and probiotics. Most supplements cause digestive problems. I eat plenty of eggs, meat, some cheese, vegetables, some carbs. My weight and BMI are normal and I am very active. I am in my early 60's and starting to get sports related injuries. I also worry about developing cognitive problems as I age. Thank you - I appreciate the input. I am competitive in a specialized dog sport called agility and teach classes to others. I will order the book!